When I was growing up I was fascinated by the video shop. Thousands of boxes displaying all manner of films. This was an era when cover art was particularly impressive. You could wander your eye over a shelf and scan until something caught your eye. Certificates? No bother. We could probably push our luck up to a 15. Maybe the occasional 18 if the old man knew mum was out for the night. The alternative was a friend’s older brother’s collection, which was a treasure trove of cult 80’s action and horror. There were films there that have gathered cult appeal in the years since, almost like he was ahead of the curve on enjoying them (Dark Angel with Dolph Lundgren as an example). So you’d pick your tape. Younger readers, please don’t ask me what a VHS tape is. Just don’t…I don’t want to feel that old. You put the tape in. 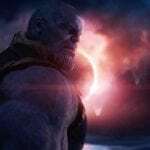 There would be logos or names that would pop up prior to the films launch, or in those early credits that would eventually become a comforting signifier of what was ahead. Some of those names have floated into ether. Cannon Films, Orion Pictures and Carolco to name a few. One name in particular, occasionally in conjunction with another (Mario Kassar), was Andrew G. Vajna. Surname jokes aside from my more aware teen years, it was a name associated with a genre I was particularly fond of. Vajna helped form Carolco with Kassar, before going his own way. Vajna will always be most associated with the original Rambo trilogy of course. That was my first experience of seeing the name pop up, as presenter of the picture ahead. He saw the potential in franchising, back when franchises were still fairly new. 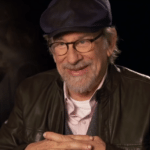 Steven Spielberg and George Lucas among others were starting to go that way and their success saw a string of followers. 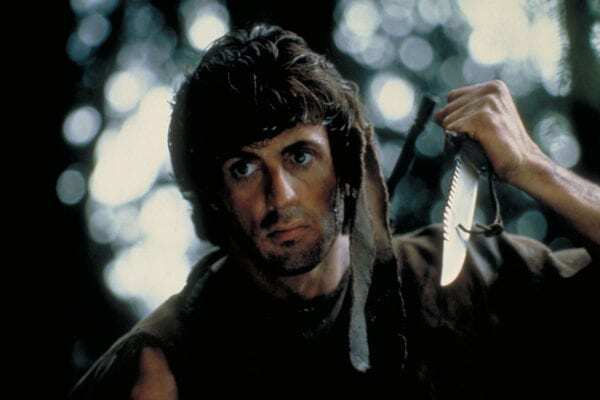 Lets face it, the concept and ending of First Blood (which could have been more final, had the original ending, where Rambo dies, been used) didn’t suggest sequel promise, but the political climate of the time and rise of the jingoistic action picture (Chuck Norris was seeing good returns for Cannon) lead to Rambo: First Blood Part II, as additionally, Sly Stallone was coming up to a fourth film in his Rocky franchise. 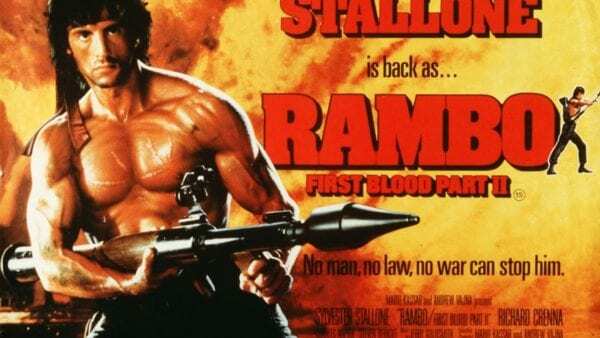 Rambo is still running, with his fifth (possibly final) outing later this year. Perhaps an in memory of Vajna credit would be apt. Rambo aside, Vajna was involved with a couple of Arnold Schwarzenegger flicks too. That association with both Arnie and Sly, the two action titans of the era, of course meant that his named most definitely registered in my viewing habits. 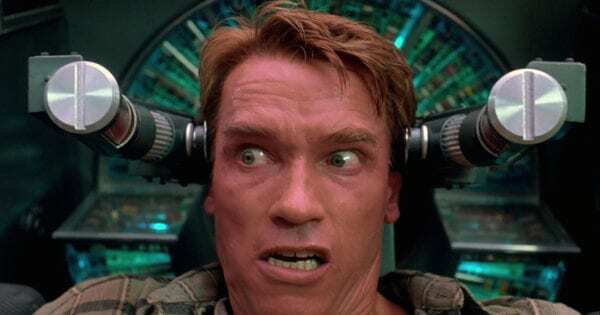 Red Heat, and even more impressively, Total Recall – which had everything a young kid who shouldn’t be watching the film – could ever want. Hyper violence, three breasted aliens, mutants, special effects, and one-liners you could repeat to your friends. I don’t need to tell you that Total Recall is immense. Vajna helped make it happen. He seemed to gravitate a lot around tough guys, working on films (particularly action) with the likes of Nick Nolte, Mel Gibson and Sean Connery, and putting his weight behind a rising Mickey Rourke (just prior to Mickey’s career implosion). Awards and critical acclaim seemed to bypass his career largely, but his genre focus meant that was always unlikely. Evita would be the closest, but despite being critically lavished by Madonna’s standards, it was otherwise fairly average as far as reviews went. With the exception of putting his name to a couple of misfires and unsuccessfully re-launching the Terminator franchise with the third and fourth films, Vajna got progressively quieter, until calling time after School for Scoundrels ten years ago. Still, like many of his ilk, that gravitation toward escapism, and toward action, made him an icon among my generation. This game is all about money in the end, and when you’re winning it’s great, when you’re hitting the skids with films like Judge Dredd or 13th Warrior, or indeed his final Terminator film, it’s not so great but you get a sense with guys like Vajna – and similar I suppose to Kassar, or Golan and Globus at Cannon – that this was fun; that to an extent they swaggered into the club like Rodney Dangerfield in Caddyshack, upsetting the high brow ideals of the top table in Hollywood. A little brash, but passionate about escapist genre pics in particular. So raise a toast to the late, great, Mr Andrew G. Vajna. A producer of legendary action status. Remember as a kid that when his name popped up in the credits, I knew I was going to enjoy what I was about to watch.